Animals. Holidays. Career. Birthday. Sports. Graduation. Here at CK Products, we sell more than 2,000 different designs of chocolate molds. Some of these molds we sell thousands of each year. Others, like the Santa/Boot sucker and the Jack-in-the-Box chocolate molds, sell fewer than 10 per year and have since been discontinued. This mold outsold No. 2 on the list by more than 2,000! Remember though, that customers who purchased this mold (or any other chocolate mold from CK), may not have even used the mold for chocolate. These molds can be used for wax candles, soap, ice and plaster of paris pieces. These two are no surprise! Who doesn’t love a good peanut butter cup? 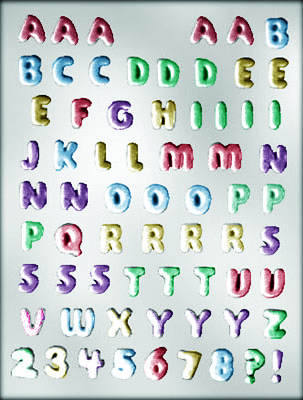 These are also often used as candy centers. 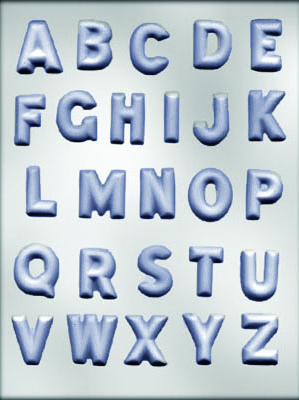 We have lots of molds for letters and numbers, but these two are the most popular fonts. Fill these molds with your favorite colors of confectionery coating and then place on cupcakes, cakes, cookies or just eat them on their own! Go Bulldogs! Go Dawgs! 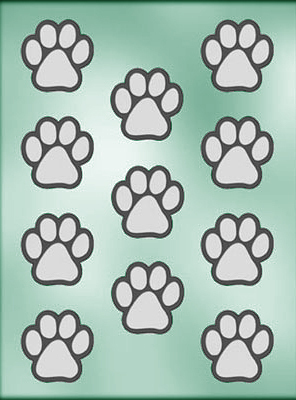 Whatever the mascot, if it has a paw print, this is the perfect mold for team spirit. Fill it with confectionery coating in your school colors or even make little soaps! 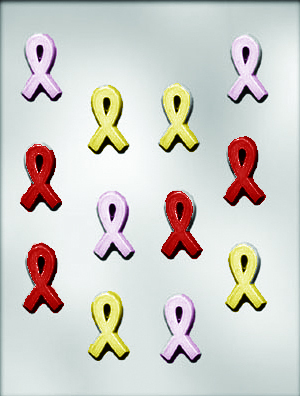 Do a Google search of “ribbons and causes” for a complete list. 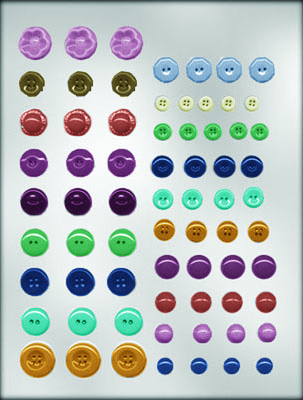 Candy buttons! 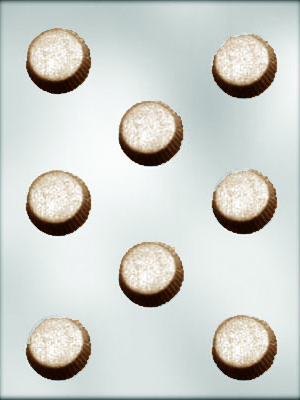 Make these chocolate buttons in multiple colors and serve in a dish as-is or place on cupcakes or cakes. Yummy! A chocolate starfish! 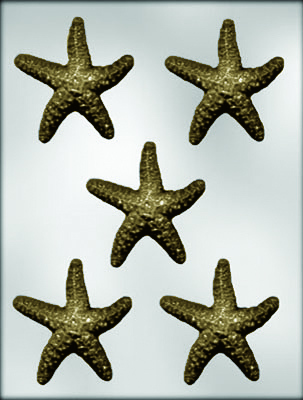 Starfish soap! 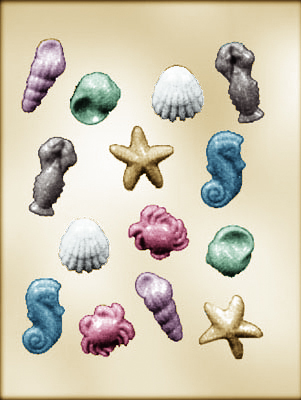 Use this mold to make fun summer-themed pieces or year round if you have a shop near the beach. No doubt about it- owls are huge right now! They’re on jewelry, housewares, clothes, decorations, and more. No reason for them not to be made of chocolate! 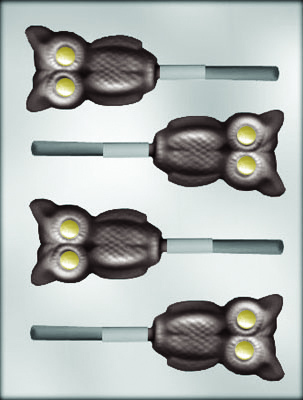 Hold an owl-themed party by making an owl cake and give out owl suckers as a party favor. See a mold you like? CK Products is a wholesaler that sells business-to-business. If you aren’t a business, tell your local candy supply or baking supply store that you want CK Products chocolate molds! Or, go to the “Find a Retailer” feature on our website and find a store near you that sells CK Products!